How to get Invoice of ordered product from Flipkart? Everybody loves to shop online as it is one of the easy and best way to get your desired product at your doorstep according to your needs, and Flipkart is one of the best and perfect online shopping website which suits your needs. 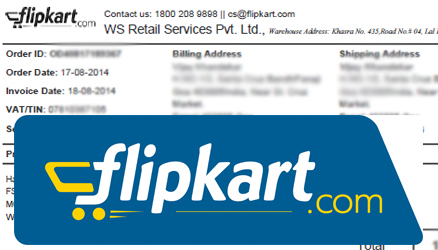 If you are familiar or regular shopper with Flipkart than you will be knowing that when you order a product from Flipkart, Flipkart doesn’t include the Invoice/ Bill copy in the package of the product but the Invoice or Bill gets delivered to your Flipkart registered email id in the form of PDF File after 24 Hours of Successful delivery of the product. The Invoice which you have received of your product in your mail inbox can be printed or else you can also save a soft copy of it on your computer for further reference for any purpose like claiming warranty etc. If you have still not received your purchased product Invoice in your inbox after 24 Hours of Successful Delivery you can get it manually delivered in your mail inbox by following a process. 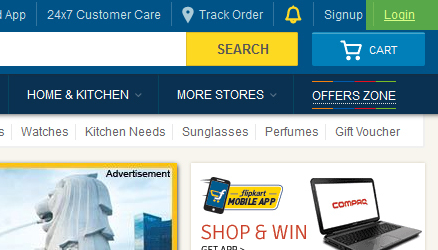 How to get Invoice delivered to your mailbox of ordered products from Flipkart? Login to your Flipkart Account. 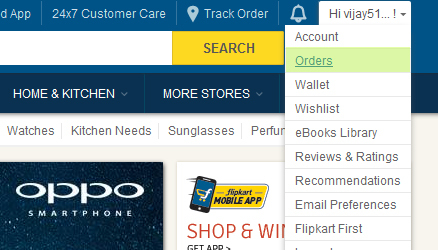 Go to Orders section by clicking on your username which is located on top right hand side corner. Click on the Order ID of which you want invoice. 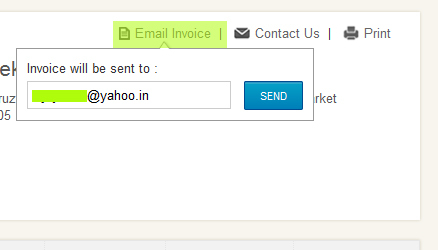 On the Right Side Top Corner you will find Email Invoice click on that and click send. The Invoice will successfully get delivered to your mail box within few moment in PDF Format attachment. still one problem so i need my my invoice copy. Please follow process in article to get your Invoice Copy. You can download your Invoice of purchased product yourself by following steps in this article, so i request you to carefully read the article. My lenovo k3 is not working. For servicing the Invoice copy is required which I misplaced somewhere. it is purchased on 22nd dec 2015. track ID is FMPC 4263181065. 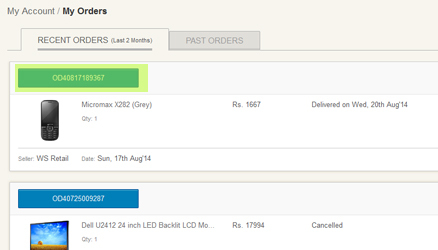 You can download your Invoice of the purchased product by visiting orders section in Flipkart. Just follow the above article for step by step procedure. Just check spam folder as well. Just follow the above steps to download your Invoice of Samsung Galaxy J5. I am not getting my invoice bill on my email ID… I get my latest invoices but not the older ones.. what to do? Did you tried the above steps to get your invoice? Yes they will definitely help you in this matter, just contact flipkart. You might have received Invoice in your registered email id, so please check your email. Why don’t you download your invoice by logging in into your Flipkart Account. Please give me a suggestion sir as soon as possible. Why don’t you change email id by logging into your Flipkart Account, once you have changed the email of Flipkart Account you will receive Invoice on this new email id. How can i download invoice in my android phone? mene olx se second laptop kharida hai, to meko check krna hai usne laptop kb lia hai wo kaise kr skta hu. where is the option for order id?